In my previous blog, we discussed determining who needs to be involved in the hiring process and assuring they are aligned with the companies hiring goals. What next? The job requisitions. There is no perfect job description; no one size fits all. Some would say there are two kinds, bad ones, and horrible ones. Remember the good ole days of being hyper-critical of resumes? Well, it’s payback time, and according to candidate behavior, we are only as good as our job postings. There are volumes of articles written on how to write a better job description, this topic can be a month-long training course on its own, so I am not going to attempt to tackle it. What we will be looking at is some strategy behind deciding what goes into your actual job requirements and gaining consensus of what the ideal candidate looks like before beginning sourcing. This is all about expectation setting, using your awareness of candidate/market conditions and two-way communication. I know, this sounds like a no-brainer, but this is much more difficult than it seems. The goal is to understand precisely what you are looking for from a technical and soft skill standpoint, gain commitment from the hiring team and then execute. Everyone on the team should know exactly what the profile of an ideal candidate looks like for that position. 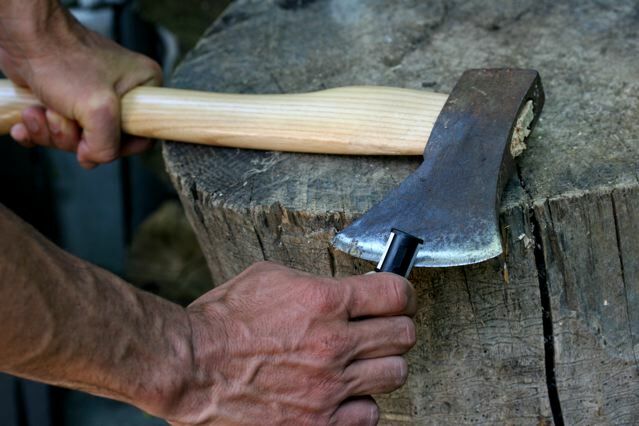 What is the adage about the axe and the tree? Well, consider this axe sharpening. Your sourcers/recruiters should be empowered, positioned to answer all questions (within reason), act as stewards of the company, speak and be perceived as an authority and be prepared to act quickly. When the candidate asks questions of the recruitment team, and they can’t answer, all power is lost, and the candidate starts to think, “why am I talking to you and not the decision maker?” Not only does it position the recruiter as someone that lacks authority, but it also creates unnecessary back and forth between them and the candidate who can add days or even weeks to your submittal timeline. the absolute minimum qualifications to be considered qualified for a position. It improves candidate submission quality when the recruiters can complete even a very basic tech screen. For the most part, recruiters are not technical and this not only helps your team increase their technical knowledge leading to more competent recruitment, but it also improves the candidate experience. It prepares the candidate. Well isn’t that giving them the answers you ask? No, people are terrible in interviews, they are nervous and mess up even the most basic questions about their background. Asking them similar questions on the phone screen and in-person interview allows them to put their best foot forward and come prepared. Do not ignore the laws of economics when writing job descriptions. Understanding what you are hiring for, is not only qualifications, but it is also current market conditions and supply and demand. In some cases, you may be paying more for certain types of skills than you are used to, depending on what is happening in the market. Are you offering above or below market? If you are offering below market, understand that will affect your time to fill and cost to hire. Here is where leadership and strategic decision making comes in. Would you rather fork up an extra $10,000 in salary for a qualified employee as a known cost, or knowingly send the sourcing team out to find and deliver highly sought-after candidates in a competitive market for sub-standard pay? What are the unknown costs of that scenario? Projects slipping to the right? Missing delivery timelines? Overloading staff leading to attrition? Dissatisfied customers? Stop the copy and paste job requisitions. Just stop! Efficiency is important, right? Especially when we are trying to work smarter and not harder. However, in the case of creating new job requisitions, do not copy old postings. Old postings contain information that may not have been right the first time, and the proper information may have verbally been communicated and never made it to the requisition. Of course, you can copy company lingo and legal statements, but when it comes to the requirements, type them in fresh. This also creates a chain of accountability when it comes to accuracy of information. Nothing is more of a time killer than working on a position, just to find out you are missing requirements or worse overlooked hundreds of people because your requirements were stricter than they needed to be. Your company has a strategic vision, and I would guess growth plays a part of that vision, in fact, it is probably the central core of the vision. Any good leader will tell you that a company is only as good as its people, so why are we outlining job requirements that almost punish professional growth? Many jobs require that the person applying has done the job for the last five to eight years and if they don’t meet that, don’t bother applying. If you think about it, this is mostly asking the candidate to make a lateral move. Why are we expecting candidates who accept lateral moves to be high performing employees? Why don’t we hire people into their next role? Be the promotion for the candidate, be the company that gave them a chance. Look for candidates who have a history of increased responsibility through their career. This not only will potentially lead to a more loyal employee, in many cases, but they will also demand less in salary. Mentor, train, coach and manage the employee to a successful career. If there is no path of growth for that employee, you can count on attrition. An abundance of experience does not equal proficiency, but we use this as a barometer of skill in TA far too often. What does length in time of a job have to do with the ability to perform? Nothing! If the position you are working on requires five years, look for five years, not ten, not 15. Do not pay for years of experience you don’t need. Someone that has been doing the job for a decade longer than the job requires is going to cost a lot more than someone who has been doing it for five. Remember time in the seat has nothing to do with proficiency. This is a coaching moment for you and the hiring team.